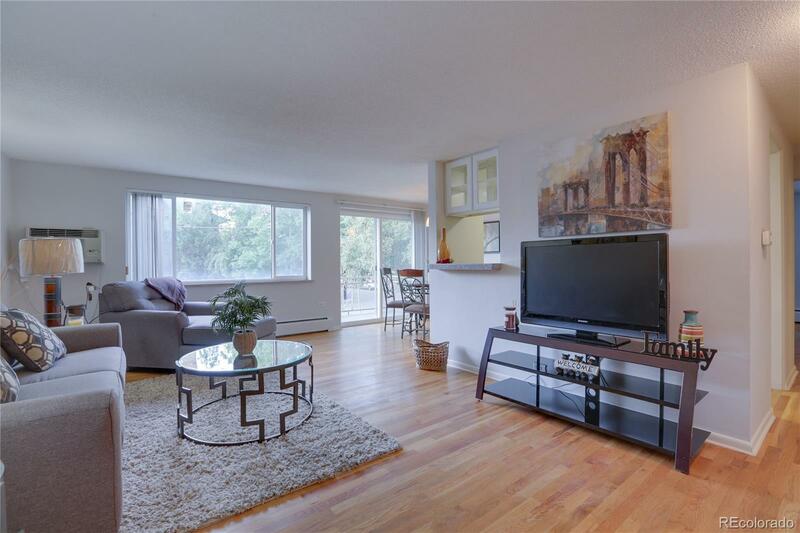 Stunning Capitol Hill condo with all the bells, whistles, & upgrades everybody wants! As you enter you'll be greeted with gleaming hardwood flooring which will take you throughout the home. The high-end finished kitchen boasts brand new stainless steel appliances, a newer french-door fridge, granite counters & brushed nickel hardware. Early mornings & late afternoons will be best spent on the generous sized balcony patio located off the dining room. Just down the large hallway, you'll find a beautiful, ample sized master bedroom with hardwood flooring, a large custom closet complete with organizers & beautiful mirrored doors. The guest bedroom is also nicely sized, with a large closet and hardwood flooring. Just off the living room, you will find 2 closets-- 1 large enough to walk in & organize all of your things with expansive shelving and great storage, and the other for coats and shoes. 2 car tandem parking, with 1 covered spot. Walk to everything downtown! Put this on your list!